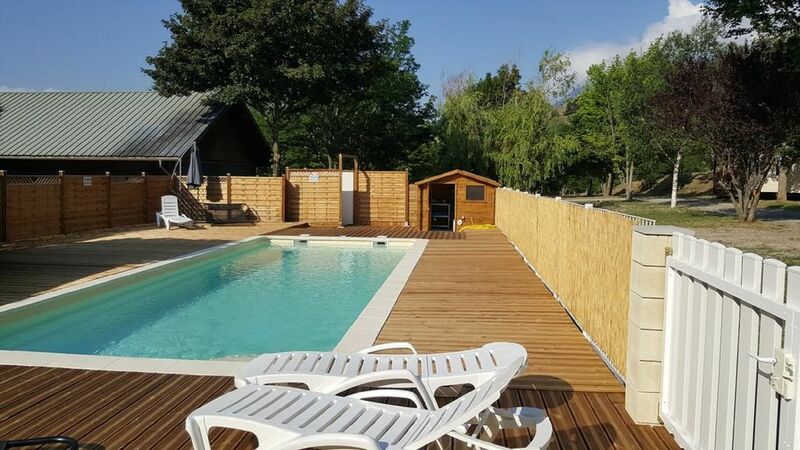 Offering a seasonal outdoor heated pool, barbecue and children's playground, Camping New Rabioux is set in Châteauroux-les-Alpes in the Provence-Alpes-Côte d'Azur Region. km from the lake of Serre-Ponçon and 6km from the lake of Embrun. Guests benefit from free WiFi and private parking available on site. All mobile homes include a lounge area with convertible 2 places. The kitchenette is equipped with a microwave, a fridge with freezer, and a coffee machine. Water sports facilities are available. You can play table tennis at the property, and the area is popular for windsurfing, cycling, fishing and canoeing. Les Orres is 20 km from Camping New Rabioux and Briançon is 45 km away.